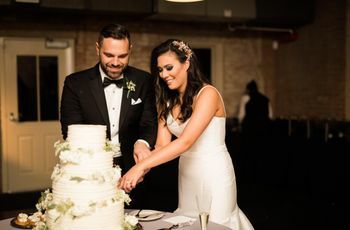 The wedding cake is still the traditional wedding dessert, but today, couples are serving up more than just a slice of cake at the end of their wedding reception. 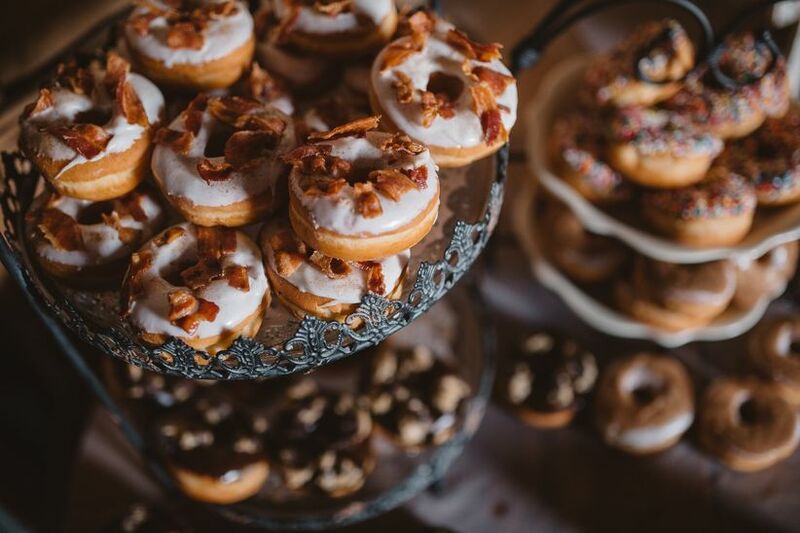 By expanding your wedding dessert ideas to an array of personal favorites, exciting flavors and surprising sweets, couples can turn their sweet dreams into a delicious reality. We spoke with caterers and bakers from across the country to discover what they’re expecting on dessert menus in 2019. We were (pleasantly) surprised to learn that desserts will be getting an update with the new addition of savories and tropical flavors. Read on to discover the seven wedding dessert ideas you can serve on your big day! 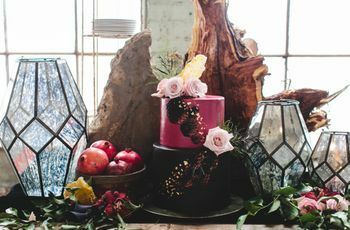 To switch up your wedding dessert ideas, couples are opting for passed desserts instead of a plated dessert or dessert bar. “Passed desserts are great for people who want to take a bite here and there and not have to sit for another course,” explains Jeremy Wachalter. Passed desserts will also keep your guests on the dance floor. 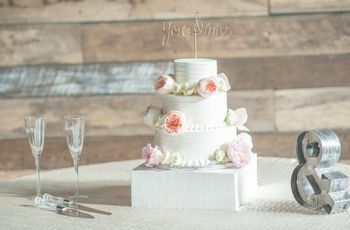 One of the top wedding dessert trends for 2019? Sparkling desserts! 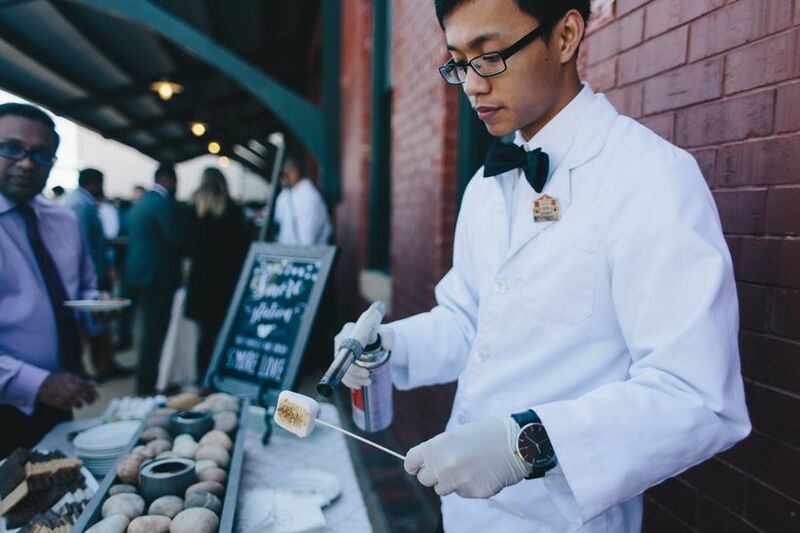 “Sprinkles, glitter and sugar crystals will be added to everything from macarons to mini desserts,” explains Rachel Bruzek of D’Amico Catering in Minneapolis, Minnesota. Talk to your caterer and/or baker about colors that will complement your wedding’s palette and ways to add some sparkle to your desserts, whether it’s ice cream, cupcakes or cookies! Couples want to ensure that everyone at their wedding can enjoy dessert. Caterers and bakers have seen an increase in requests for gluten-free and vegan options, as well as awareness of where ingredients are sourced, what’s in each recipe and overall, if it’s a healthy option. 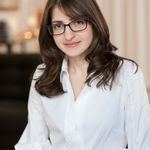 “Plant-based desserts are also rising to the surface,” says Rachel Bruzek of D’Amico Catering. “One of our most popular flavors right now is white chocolate raspberry, but anything with fresh fruit has been very popular,” says Ashley Robbins. Lemon, banana, blueberry, strawberry and apple are some of the fruity-flavors included in pastries, macarons and pie desserts. “In Georgia, for example, peach shows up everywhere and Peach Cobbler and Peach Pie are extremely popular desserts, but incorporating peach into anything from cupcakes and cake pops to ice cream and macarons is fun,” she explains.